Bring your family or group to Omaha's Henry Doorly Zoo and Aquarium for a WILD time! Sleeping Bag Safaris are available year-round. Children must be at least 4 years old, and 1 adult is required to attend with every 10 youth. Reservations must be made at least three weeks in advance. All safaris run 7 p.m. to 9 a.m. unless otherwise noted. See below for more information. This special overnight is geared toward novice and semi-experienced photographers. Guests will be allowed to walk the Zoo grounds and photograph plants and animals during the twilight hours. This is a self-guided tour that will include only the outside exhibits with experienced Safari Guides in place to answer questions. A Professional Photographer will be on hand in the evening to critique your photos and give some pointers on catching the perfect shot. Participants will then spend the night in the Wild Kingdom Pavilion and wake in the morning to continue their photography experience. Evening snacks will be provided along with a morning coffee/tea bar with pastries. Guests are asked to bring their own coffee mugs to help practice "green" living. The Wild Kingdom Pavilion facility houses small animal exhibits and ample floor space for guests to spend the night. Please note that you are welcome to bring a cot, sleeping bag pad, or blow up mattress along with your own bedding to make yourself more comfortable. This is an all-weather Safari so come prepared for rain or shine. Cost per person is $80.00 which includes your overnight stay, evening snack, Safari Guides, morning coffee/tea bar, free day at the zoo, and professional photographer. This overnight is for adults 18 and over or teens with adult supervision. Family Sleeping Bag Safaris are overnight programs where guests spend the night at the Zoo to experience exhibits after-hours. Program include educational programs, paid admission, overnight stay, evening hike, conservation games, evening snack, movie, breakfast, morning hike, free day at the Zoo and animal visit. Family Safaris are limited to family groups and have a minimum ages of four years to participate. Both programs run from 7 p.m. - 9 a.m. and cost are $45.00 - $48.00 per person depending on what facility is being used. Spend the night at the Zoo and then stay and ring in 2020 early (at Noon 12/31/19). Event is specially made for everyone who doesn't want to stay up late to celebrate! A movement that allows the general public the ability to join in and assist on research projects with professional scientists. The Zoo has many projects that we would like to introduce and show families how they can help nature in their own backyards. These special overnights will consist of project explorations and observations related to each research mission. The event will start at 7:00 pm with a quick orientation and background, and then guests and families will be allowed to practice their knowledge along with qualified researchers. An evening snack, free day at the zoo, overnight stay, breakfast, and supplies will be included with this overnight. Event will conclude at 9:00 am. Guests must be 4 years old or older to attend and one adult is required to attend per 10 youth. Cost is $55 per person. City Nature Challenge 2019: Omaha Metro: The City Nature Challenge was created in 2016 between San Fransico and Los Angeles as a way to see which city had a more diverse plant and animal population. Today, over 150 cities world wide will participate over 4 days (April 26, 27, 28, 29) to see how many species their cities can document. 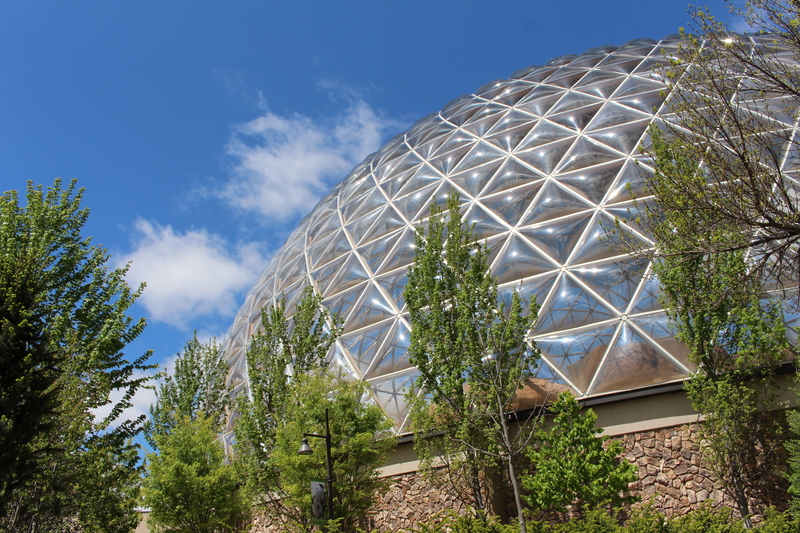 Omaha's Henry Doorly Zoo and Aquarium guests will be trained on using iNaturalist and working with Zoo professionals on documentation of resident species on Zoo grounds to get a better understanding of plants and animals in the Omaha metro area. We'll show you how you can sample plants and animals in your own backyard to contribute to this yearly count. Monarch Tagging: Every year, Monarch butterflies migrate through Nebraska on their way to their winter homes in Mexico. Omaha's Henry Doorly Zoo and Aquarium, through Monarch Watch and the Univeristy of Kansas, has tagged Monarchs from more that four years. At this overnight, guest will help tag monarchs, collected vital information on each butterfly tagged and learn why this data is so important to the species. This family program focuses on families of all ages. We will discover what spending the night at the Zoo is all about without actually spending the night. Geared towards the beginner campers and young explorers. Event starts at 5:30 p.m. and concludes and 8:30 p.m. Guests will experience setting up their own tent, story time, dinner, night hike, and evening snack. Participants are welcome to bring their pillows and/or blankets to get the full experience. Cost is $25 per person (children under 1 are free). Adult participation required. Bring your Grandparents and experience camping indoors! Join us for an overnight program where adult guests spend the night at the Zoo's Safari Tent Camp site and experience the exhibits after-hours. Program includes an evening gourmet dinner and drinks, an evening hike, movie, snacks, breakfast, morning hike, free day at the Zoo and animal visit. Tents include one double cot or two single cots. Each tent is 10' x 12' spacious interior equipped with an electrical outlet, nightstand with lantern, area rug, dining table, two director chairs and oscillating fan. Guests must bring their own bedding and comfortable shoes for walking. Cost is per person is $120.00. This overnight is for adults 21 and over only. 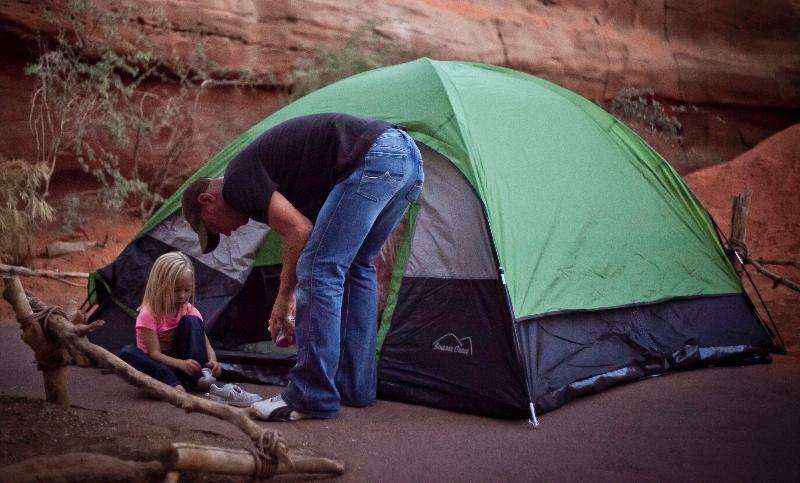 Single campers pay a minimum two-person tent price. There is a maximum two-person occupancy per tent. Small Group Safaris are overnight programs designed for schools, churches, scouts or summer camps who cannot meet our 25-person Large Group Safari minimum. The program includes educational programming, overnight stay, paid admission, and evening snack. Groups will go on a night hike, play conservation games, watch a movie and go on a morning hike. Guests must be 4 years old or older. Please note that Small Group Safaris combine multiple small groups into one large group for overnights. The facilities are large and have plenty of space to spread out. If your group is looking for a private event then please see our Large Group Safaris that have a minimum of 25 participants. Safaris run from 7 p.m. - 9 a.m. and are costs $40.00 - $45.00 per person depending on what facility is being used. 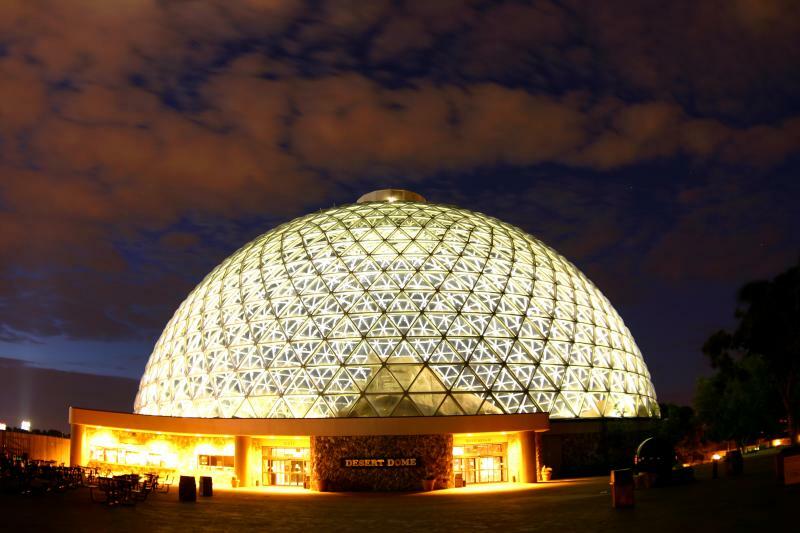 Be a part of this World Wide Bio Blitz by spending the night at the Zoo and working with naturalist on sampling native species in Omaha to document plants and animals within the city limits. Click here for more info. Groups of 25 or more can call and arrange a private overnight stay. Schools, churches, scouts, summer camps, families and other groups are welcome to make a reservation year-round. Overnight includes educational programming, paid admission, overnight stay, evening snack, night hike, conservation games, movie and morning hike. Other packages are available with additional amenities for a unique and memorable experience. Cost are per person and by facility (see Packages and Pricing list below) with a minimum age of 4 year old. Reservations are now OPEN for the 2019 season. Where Can My Group Sleep? Through a generous grant from Blue Cross and Blue Shield of Nebraska, Nebraska public schools have the opportunity to participate in an overnight at Omaha's Henry Doorly Zoo and Aquarium. To qualify, schools must be outside a 50 mile radius of the Omaha and Lincoln Metropolitan areas. Only Nebraska schools are able to register and availability is on a first come, first served basis. The grant will fund overnight fees for all students and one adult per 10 students. If more adults wish to attend, the school has the option to pay for the extra adults. No food is provided during these overnights. However, the school may bring in food for an evening snack and morning breakfast with the understanding of maintaining a clean environment. Reservations for the 2018-2019 school year open August 1, 2018. Start planning your visit and overnight today. Contact the Education Department at 402-738-2092 or Camps@OmahaZoo.com for further questions. 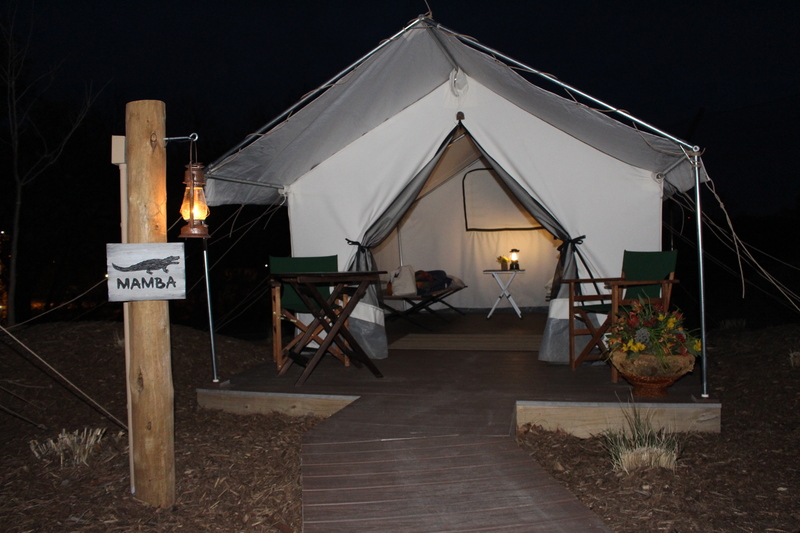 Campouts are overnight educational programs where guests spend the night in platform canvas tents and enjoy learning about what happens at the Lee G. Simmons Conservation Park and Wildlife Safari (Ashland, Nebraska) after dark. The Campout includes educational programming, overnight stay, park admission, evening hike, evening snack, light breakfast and animal visit. 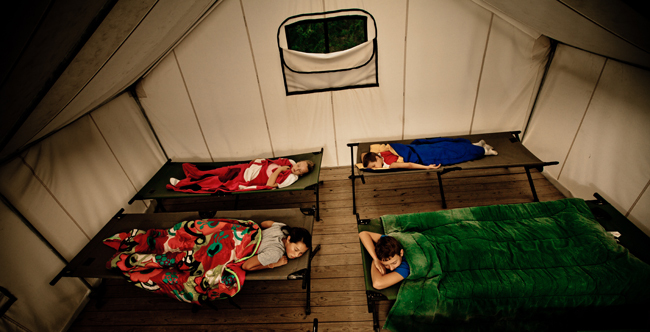 Guests will spend the night at the campsite with platform canvas tents, cots, a rug, nightstand and lantern. Groups are asked to bring their own bedding, flashlights, chairs and bug spray. Please note that the Wildlife Safari Park allows food and non-alcoholic drinks to be brought into the Park especially during overnights. Groups are welcome to bring coolers and extra supplies as well as their own tents (if they choose). The Wildlife Safari Park practices "Leave No Trace" so please be aware of what you bring in you must pack out. Cost is $40 per person (unless otherwise noted) with reservations made a minimum of three weeks in advance. One adult per tent is required and a minimum of 4 years of age to participate. Wildlife Safari Park is located off Nebraska’s I-80, Exit 426. Reservations for the 2019 Campout Season are open NOW! Private Campouts are available for schools, churches, boy scouts, girl scouts, summer camps, families and more with a minimum of 15 people and can be reserved for any open date during the Wildlife Safari Park open season (April through October). Guests must be 4 years or older. Reservations for the 2019 Campout Season are open NOW! Reserve Your Date Today! For more information please contact the Education Department at 402-739-2049 or at Camps@omahazoo.com. This family program focuses on families of all ages. We will discover what spending the night at the Park is all about without actually spending the night. Geared towards the beginner campers and young explorers. Event starts at 5:30 p.m. and concludes and 8:30 p.m. Guests will experience educational programming, paid admission, dinner, night hike, and evening snack.